See the biggest bull sharks in captivity through a unique, walk-through tunnel! It's the safest way to see 20 sharks swimming not just in front of you, but also overhead. Send the kids through the tunnels of the Extreme Amazon to come face-to-fish from under the water's surface and discover thousands of other finned, flippered and furry friends around every turn. Don't miss interactive experiences like feed shows, touch tanks and behind-the-scenes tours. 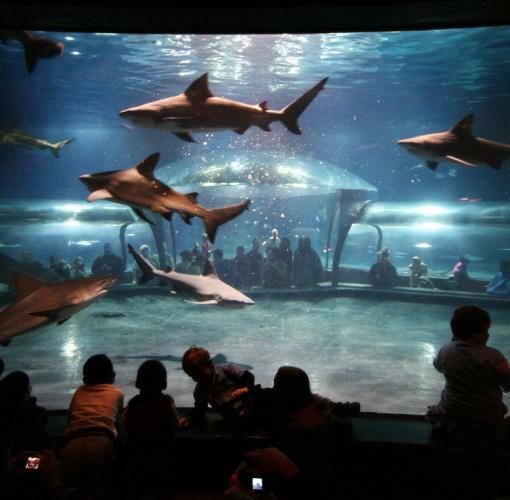 The Oklahoma Aquarium is an all-indoor facility, so it's great family fun no matter what the weather!